We’ve compiled the best Hatteras Island activities, events and fun things to do on the Outer Banks for August 13 – August 20. Below you will find events just for the kids, family events, evening events and a lot of FREE activities to make your Hatteras Island vacation unforgettable! Time: 11:00 am to 11:45 am. Location: Hatteras Island Visitor Center at the Cape Hatteras Lighthouse. 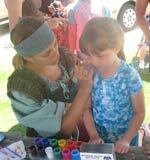 This program offers hands-on activities that allow kids to have fun learning about the seashore. Check at the visitor center to learn the topic of the day. Free for all ages. Hatteras Library – 9:30 AM. This is a high-energy, Australia-themed program that combines music, puppetry, comedy, and audience participation. This program is free and will last approximately 1 hour. Children under the age of 8 must be accompanied by an adult. The Hatteras library is located directly off of Hwy 12 in the heart of Hatteras village, between the post office and fire station. For more information, call (252)986-2385. 2pm to 5pm at Blue Pelican Gallery in Hatteras village. Ages 4 to 12. This event is free, but please pre-register by calling (252) 986-2244. www.facebook.com/bluepelicangallery. 1pm-2pm at Indian Town Gallery – mile post 65 in Frisco. This fun art class if for kids ages 6 and up. The cost is $15 and includes materials. What a great vacation memento to bring home from the beach! Please pre-register by calling (252)995-5181. 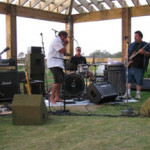 6-10pm The Kona Summer Concert Series featuring The Wilder Brothers Monday nights and MoJo Collins on Thursday nights! -This is a family friendly event! Enjoy the concert outside on the waterfront deck at the REAL Flagship Store in the Village of Waves. 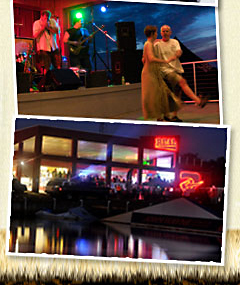 Dinner and drinks are available at all shows from MOJOs Sunset Café. 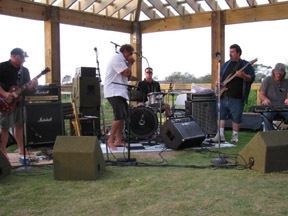 Enjoying live music on the Bermuda grass lawn area on a beach blanket or chair is the best way to wrap up any day in Cape Hatteras with your family! For more information, call 252-987-6000. Time: 10am – 1:30pm (Classes run 30 minutes and start on the ½ hour -reservations required!). Location: Indian Town Gallery – Mile post 65 in Frisco village. Learn to wrap a piece of sea glass into a necklace pendant with instructor Betty Kungle. Class size is limited to 8, so call early to make reservations! $10 per person plus a $5 kit fee which includes a piece of genuine sea glass! For more information call Indian Town Gallery at 252-995-5181. Advanced sea glass necklace class lasts about 2 hours and costs $30. In this class, students will make a complete sea glass necklace using beading and wrapping techniques. Ages 12 and up. Please call and pre-register for all classes. For more information call Indian Town Gallery at 252-995-5181. The Frisco Jubilee is an evening of musical entertainment for the whole family comprised of some of the best performers from Hatteras and Ocracoke Islands. Locals and tourists alike have discovered the rich musical heritage that exists on the Outer Banks and at the Jubilee you will hear some great music that ranges from standards and blues to bluegrass and gospel as well as original poetry. 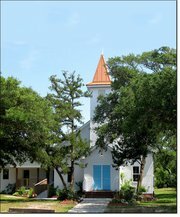 The Frisco Jubilee performance is at The Little Grove Methodist Church, mile post 67 in Frisco. The show starts at 7:30 p.m. Tickets are sold at the door for $10 per person. Call 252-995-3540 for more information. Join us for a good ole fashion Fish Fry at two locations on Hatteras Island: Hatteras Village and Avon Village, every Saturday evening in the summer. Enjoy locally caught fried fish along with hushpuppies, cole slaw and potato salad. For almost six decades, the folks in Hatteras Village have hosted this fish fry. Sponsoring the fish fry is the Ladies Auxiliary at the fire department. Proceeds go to the Ladies Auxiliary, the Hatteras United Methodist Church and the Hatteras Village Civic Association. Avon Fire Station, 40159 Harbor Rd. Enjoy fried fish, locally caught by Kinnakeet watermen. The fish fries fund civic association programs. 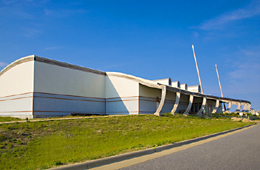 The Graveyard of the Atlantic Museum offers weekly events throughout the summer. Admission is free and the museum is fun for all ages! 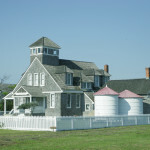 The museum is located south of the ferry docks in Hatteras Village and is open Monday – Saturday 10am to 4pm. Wednesday: Island Quilting Traditions 10am to noon; Civil War Mini-talks with Drew Pullen 2pm -2:30pm and 3pm-3:30pm. 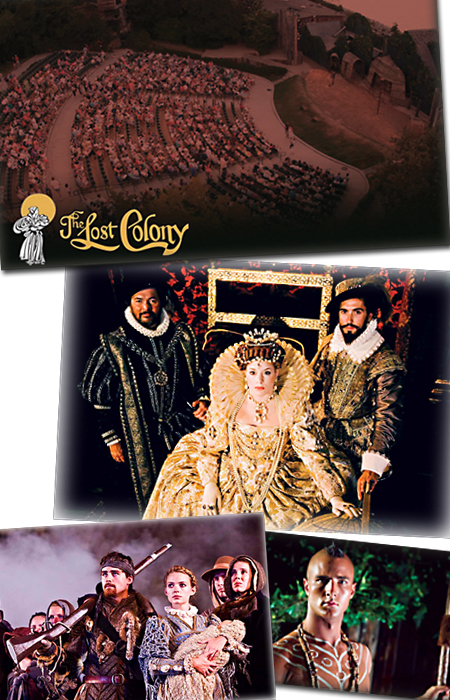 Friday: Maritime Movies showing at 11am and 2pm. 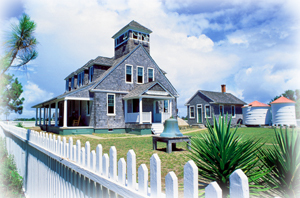 The Chicamacomico U.S. Lifesaving Station and the National Park Service offer Daily Summer Programs. Below are some fun events for you to check out during your Hatteras Island vacation! Time: 8:00pm. Location: Buxton Lifeguarded Beach. 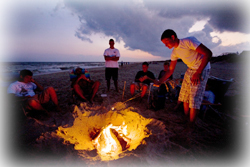 -Spend an evening under the stars hearing stories of the Outer Banks. Topics may include shipwrecks, pirates, sea life, and legends. Bring a beach chair, a blanket, flashlight, and bug spray. Time: 8:30pm to 9:30pm. Location: Pre-register at Hatteras Island Visitor Center at the Cape Hatteras Lighthouse. -Join a ranger for a short walk to search the tide line for glowing marine plankton and the sky for planets and constellations. Find out why protecting the dark is valuable to both people and wildlife. Time: 8pm and 9pm. Location: Cape Hatteras Lighthouse. 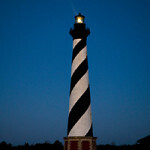 -Enjoy a guided tour of the Cape Hatteras Lighthouse. ..at NIGHT! You will need to pre-purchase Night Climb tickets in person between 8:15 a.m. and 5:30 p.m. at the lighthouse ticket booth Tuesday, Wednesday, and Thursday on the week you intend to climb. Each program is limited to 30 participants and tickets are sold on a first come, first served basis. Tickets are non-refundable and children must be at least 42″ tall. Bring a flashlight! 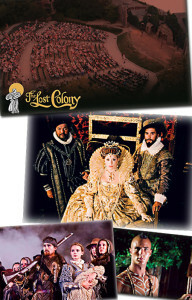 What Really Happened to The Lost Colony? The Cape Hatteras National Park offers FREE Hatteras Island events for the family and kids of all ages. Time: Daily 12:00pm to 12:30pm and 2:00pm to 2:30pm. Location: Hatteras Island Visitor Center at the Cape Hatteras Lighthouse. -Learn about the rich history of, and future plans for, the park’s majestic lighthouses. Time: Daily from 4:00pm to 4:30pm. Location: Hatteras Island Visitor Center at the Cape Hatteras Lighthouse. -In the 1700’s, pirates frequently visited the Outer Banks. Find out why the area was so attractive to pirates and how the golden age of piracy dramatically ended. Time: 2:30 PM to 4:00 PM. Location: Pre-register at Hatteras Island Visitor Center at the Cape Hatteras Lighthouse. -It’s not the Caribbean, but the shallow waters of the Pamlico Sound are home to an array of small fish, shrimp, and crabs. Limited to 20 participants. Time: 5:00pm to 5:30pm. Location: Hatteras Island Visitor Center at the Cape Hatteras Lighthouse. -Join a ranger for a view of the Outer Banks’ role in the Civil War! Time: 3:30pm to 4:15pm. Location: Hatteras U.S. Weather Bureau Station, in the heart of Hatteras Village. 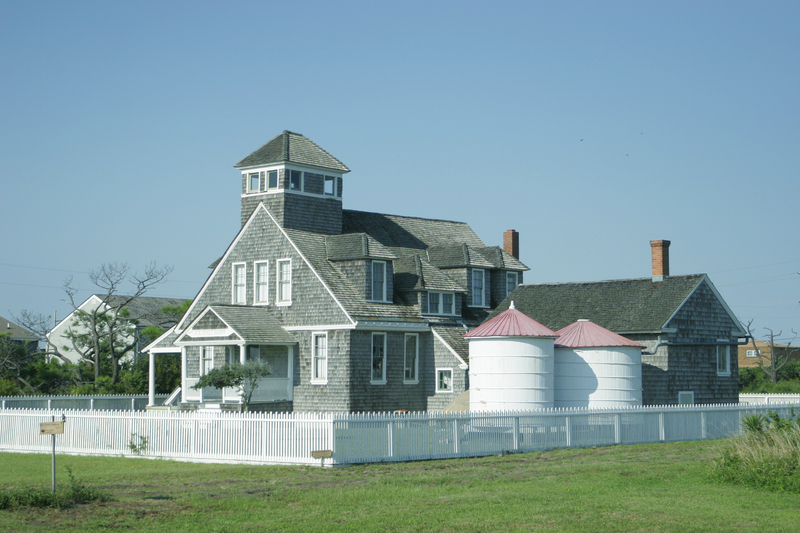 Join this tour of the restored Hatteras Weather Bureau Station and hear about the villagers who worked there during both tranquil and stormy times. Time: 5:00pm to 5:30pm. Location: Hatteras Island Visitor Center at the Cape Hatteras Lighthouse. -Countless ships have met their end off the Outer Banks. Learn how storms, shoals, war, and commerce have contributed to the wreckage, and hear stories of those who risked their lives to save the victims. Enjoy an early morning ranger-led walk across the undeveloped ocean beaches of Hatteras Island. Learn about this changing shoreline and the plants and animals that make this dynamic environment their home. Time: 9:30am. Location: Pre-register at the Hatteras Island Museum at the Cape Hatteras Lighthouse. -Casting a net from shore is one of the oldest methods of fishing. Give it a try or just come to observe the action. You’re welcome to bring your own cast net. Wear wading shoes. Limited to 25 participants. Time: 11:00am to 11:30am. Location: Hatteras Island Visitor Center at the Cape Hatteras Lighthouse. -Get in touch with your artistic side and create a lasting memory of the seashore! Bring a cotton t-shirt or pillow case to create a seashore-inspired masterpiece. Limited to 16 participants. Time: 3:30pm to 4:30pm. Location: Pre-register at Hatteras Island Visitor Center at the Cape Hatteras Lighthouse. -The U.S. Coast Guard and its predecessor, the U.S. Life-Saving Service, have a long and heroic history on the Outer Banks. Sign up today and enjoy a unique tour of an active U.S. Coast Guard Station. Limited to 20 participants. We’ve compiled the best Hatteras Island activities, events and fun things to do on the Outer Banks for August 8 – August 13. Below you will find events just for the kids, family events, evening events and a lot of FREE activities to make your Hatteras Island vacation unforgettable! Time: 8:15pm and 9:15pm. Location: Cape Hatteras Lighthouse. Enjoy a guided tour of the Cape Hatteras Lighthouse. ..at NIGHT! The Cape Hatteras Lighthouse Full Moon Tour tickets must be purchased in advance at the lighthouse ticket booth, located at the lighthouse site in Buxton village. The ticket booth is open from 8:15 a.m. – 5:40 p.m. daily. Each program is limited to 30 participants and tickets are sold on a first come, first served basis. Tickets are non-refundable and children must be at least 42″ tall. Bring a flashlight! Time: 10am – 1pm (Classes run 20-25 minutes and start on the ½ hour -reservations required!). Location: Indian Town Gallery – Mile post 65 in Frisco village. 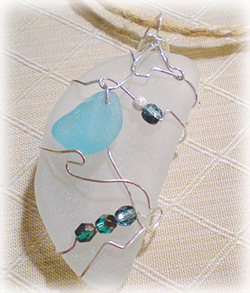 Learn to wrap a piece of sea glass into a necklace pendant with instructor Betty Kungle. Class size is limited to 8, so call early to make reservations! $10 per person plus a $5 kit fee which includes a piece of genuine sea glass! For more information call Indian Town Gallery at 252-995-5181. Advanced sea glass necklace class lasts about 1.5 hours and costs $30. In this class, students will make a complete sea glass necklace using beading and wrapping techniques. Please call and pre-register for all classes. For more information call Indian Town Gallery at 252-995-5181. What Really Happened to “The Lost Colony”? Join Kitty Hawk Kites and the Wright Flight Foundation for the 5th Annual Watermelon Festival. On Thursday, August 11, come to the Kitty Hawk Kite store in Nags Head (mile post 12.5) for a big outdoor summer bash with a homegrown backyard feel. 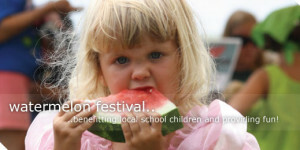 The Watermelon Festival is so much more than fun. It is one of the most unique festivals on the Outer Banks! We’ll have tons of fun activities for kids and parents like: the dunk tank, moon bounce, inflatable obstacle course, watermelon seed spitting distance contests, pie eating contests, t-shirt tye dying, face painting, and of course, tons of watermelon! For more information, visit Kitty Hawk Kites or call (252) 441-1719, ext. 206. Need to do some back to school shopping? Looking for ways to save a little extra cash? With the North Carolina tax free holiday, you can save money by purchasing items like clothing, school supplies and computers from Friday, August 5th through Sunday, August 7th. The holiday begins at 12:01 a.m. on Friday, August 5th and lasts until 11:59 p.m. on Sunday, August 7th. Please note: The specific types of items that are exempt from sales tax are defined in detail for the holiday. Items are not exempt from sales tax just because they are required by a child’s school or sports team. 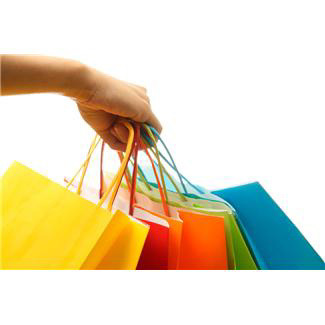 For more detailed information, visit the North Carolina tax free weekend website. 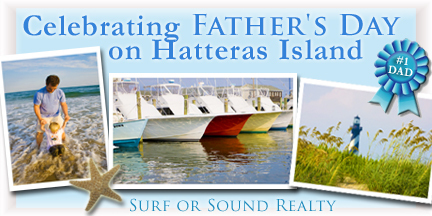 Hatteras Island is a great place to celebrate Father’s Day! There are plenty of sights, attractions and activities to share with the number one guy in your life – Dad! A great way to create lasting memories with Dad is by taking him fishing! Hatteras Island is know for its fantastic fishing. Whether you want to hop on a boat, hang out on the shore or take in the beautiful views, Hatteras Island offers a complete and unique fishing experience. 1. Charter fishing. What better way to spend time with Dad and the family than on a boat? Call Captain Steve Caldwell with Coastal Inshore Charters at (252) 986-2284 OR Captain Jay Kavanagh aboard the Bite Me at (252) 996-0295 to book your trip! 2. Surf Fishing. All you need is a chair, a cooler, a pole and a nice spot on the sand! 3. Pier Fishing. Avon Fishing Pier and Hatteras Island Fishing Pier in Rodanthe both have a blanket fishing license, so you don’t need to purchase one to fish from the pier. Also free? The spectacular views! Frisco Rod and Gun is a great source for your fishing needs and has great gifts for Dad! They carry surf and offshore tackle and bait, rods, clothing, sunglasses, shoes and more! You can stock up on snacks and ice for your fishing adventure as well! Call them at (252) 995-5366 or visit them online www.friscorodgun.com. Maybe Dad is more of the adventurous type. Hatteras Island is known to have some of the best kiteboarding in the world! If kiteboarding isn’t Dad’s thing there’s always surfing, standup paddleboarding, hang gliding, parasailing and kayaking. Kitty Hawk Kites and REAL Watersports are two places that offer apparel, lessons and rentals for the thrill seeking beginners and families! Kitty Hawk Kites – Locations in Waves, Hatteras and Ocracoke. 1-877-359-8447. REAL Watersports – Located in Waves. (252) 987-6000. 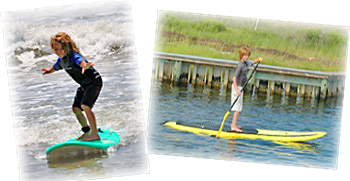 Fox Watersports – Located in Buxton and Hatteras. A great place for your adrenaline needs and apparel! (252) 995-4102. Another great way to celebrate Dad’s day is by visiting some of the local historical sights and taking in the attractions. 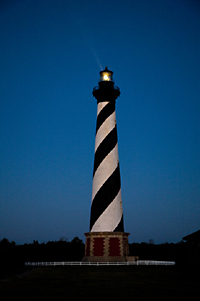 Cape Hatteras Lighthouse – One of the most famous and recognizable lighthouses in the world. Located in Buxton. Cost: $7 for adults; $3.50 for senior citizens and children 11 and under. There is also a visitors center and gift shop, nearby nature trails and a wooded picnic area. Graveyard of the Atlantic Museum – One of the most innovative maritime museums and facilities in the nation! For information and visiting hours call (252) 986-2995. 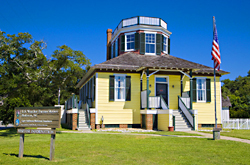 Chicamacomico Lifesaving Station– Take a tour of this historic flagship lifesaving station, built in 1874. Located in Rodanthe. For information and visiting hours, call (252) 987-1552. If you are looking for the perfect gift for Dad, Hatteras Island offers many specialty items and a unique shopping experience! What do Dad’s love? Food! Let the amazing chefs on Hatteras Island take care of lunch or dinner! There are endless ways to spend time and create lasting memories with Dad on Hatteras Island. From everyone at Surf or Sound Realty, have a safe and happy Father’s Day! Memorial Day Weekend is the unofficial kickoff to summer on Hatteras Island! It’s a hamburgers and hot dogs on the grill, toes in the sand kind of weekend filled with family, friends and fun. More importantly, it is a time to remember those who have given the ultimate sacrifice in defense and honor of our freedom. As you hit the beach for Memorial Day weekend, we hope you have a wonderful vacation and join us in taking a moment to pause and reflect on the true meaning of Memorial Day. To keep the kids of all ages entertained this weekend, here’s a guide to help you plan your visit and enjoy all of the unique events and attractions the island has to offer! These family friendly events include: Delicious food and beverages available at MOJOs Sunset Café, Daily Surf Sessions , FREE Robert August Surfboard and SUP Demos . Saturday, May 28th 6-10pm : The Wilder Brothers. •	Nothing beats a great round of miniature golf, and there are plenty of locations to show off your skills! •	Chicamacomico Life Saving Station: – One of the oldest life saving stations in the U.S., celebrating their centennial this year! •	Cape Hatteras Lighthouse – The tallest lighthouse in America! Hatteras Island is a great place to shop and discover truly unique treasures! Sport your red, white and blue in style by checking out these area shops. Many are having Memorial Day Weekend Sales! •	Frisco Rod & Gun – Hwy 12, Frisco – huge selection of mens, womens and kids clothing featuring Salt Life, Guy Harvey, Pelagic and more – everything you need for a day at the beach or on the boat! There are also plenty of things to do if you arrive early on check in day. Get a head start on experiencing Hatteras Island and start having fun! •	Beat the heat and grab some ice cream at a nearby shop! •	Check out and browse through some surf/skate/SUP/beach gear. These two locations carry a wide variety and selection of everything you will need for the beach! •	Too tired and hungry to explore? Enjoy the AC and atmosphere at one of these great nearby restaurants! 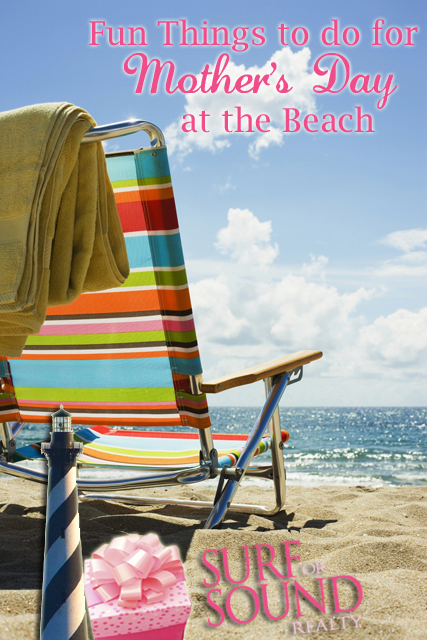 •	Of course – the salt air, sand and ocean may be too tempting, so if you can’t wait to hit the ground running, make sure you pack your bathing suits, towels, and cooler last. That way they are easy to find and grab once you arrive! Like most Memorial Day Weekends, traffic is heavier than usual. If you are driving from the north, are you aware of the alternate route to arrive on Hatteras Island? Highway 158 can become pretty congested, leaving you at a stand-still, and the alternate route lets you bypass hwy 158 completely. Need directions? We’ve got that covered! (Red Route on map) From I-64 in Chesapeake, take exit 291B for US-17 South, VA 168 South. Take exit 15B for US-17 South, keep right on US-17 South. Follow US-17 South into North Carolina. Take US-17 South by-pass around Elizabeth City. Continue on US-17 South to NC-37 South. Turn left on NC-37 South. NC-37 South becomes NC-32 South. Follow NC-32 South. Make left onto 94 South. Make right onto Benson Road. Turn left on US-64 East. Keep going east to Roanoke Island and The Outer Banks. (Make note – the Virginia Dare Memorial Bridge bypasses the towns of Manns Harbor and Manteo.) Once across the Causeway, Turn right onto NC-12 South onto Hatteras Island. Follow I-95 South to North Carolina and take Exit 138 for US-64 East toward Rocky Mount. Follow US-64 East through Williamston and Plymouth, NC. From Plymouth, NC keep going East to Roanoke Island and The Outer Banks. (Make note – the Virginia Dare Memorial Bridge bypasses the towns of Manns Harbor and Manteo.) Once across the Causeway, Turn right onto NC-12 South onto Hatteras Island. Toll is now $3 on weekdays and $6 on weekends. From the North: Take VA-168 South to Exit 8B. Take the clover to Hillcrest Parkway and turn right onto Battlefield Blvd. Turn right onto VA-168 South. From the South: Take VA-168 North to Battlefield Blvd. stop light. Turn left onto Battlefield Blvd. Turn left onto Hillcrest Parkway and take Ramp on right to VA-168 North. Don’t forget – when you arrive on Hatteras Island and get out of the car, take a deep breath and inhale the fresh ocean air. Aaaahhhhh…you’ve arrived! 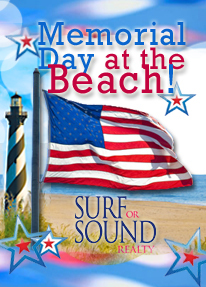 From everyone at Surf or Sound Realty, we are wishing you a very safe and happy Memorial Day! Create Lasting Memories On Hatteras Island With Mom! Hatteras Island is a wonderful place to make memories while on vacation. It’s an even better place to spend your Mother’s Day! There are plenty of sights to see and activities to take part in. If you’re going to be on Hatteras Island on Mother’s Day, we’ve come up with some fun ideas for mom that are sure to create lasting and cherished memories! 1. 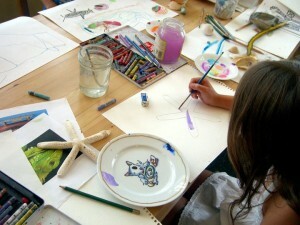 Paint your Own Pottery at Pottery in Avon http://www.studio12hatteras.com/ (252) 995-7899. A great way to spend time with mom while creating a keepsake! 2. We’re sure mom could use some relaxation and tranquility and nothing beats the spa and a massage at “In Touch Massage” in Frisco, next to Indian Town Gallery www.intouchmassageandwellness.com, (252) 995-4067. Massage on-site at the wellness center or ask about the mobile services that bring the massage directly to you at your vacation home! 3. A unique and treasuring activity on Hatteras Island is searching for sea glass! What’s even better is sea glass jewelry, which you and mom can make together! Take her to the Sea Glass wrapping jewelry class at “Indian Town Gallery” in Frisco. Call for appointment! http://www.indiantowngallery.com/ (252)995-5181. 4. 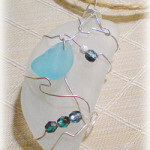 Not into sea glass, but still want to make jewelry with mom? That’s covered, too! Make your own Jewelry at “The Glass Bead” – with two locations: Avon (252) 995-7020 and Rodanthe (252) 987-2005 -thousands of beads and all the jewelry-making supplies you’ll need to create your own jewelry. 5. If mom is the adventurous type, rent some gear from REAL Watersports in the village of Waves, or grab some food at Mojos’s Sunset Cafe’ and watch the views of the sound from their deck. 1. “Buxton Village Books” in Buxton – books, cards and gifts http://www.buxtonvillagebooks.com/ (252) 995-4240. 2. “Island Spice and Wine” in Avon – gourmet wine, food and gifts! Specialty gift baskets available! (252) 995-7750. 3. “The Elegant Attic” in Buxton – (252) 995-4468 -Antiques shop featuring a spectacular selection of antique stained-glass windows and doors imported from England. There are also plenty of simple and inexpensive things to do with mom on Hatteras Island as well! 1. Go for a stroll on the beach. 2. Take mom out for ice cream. Village Conery is a great place to get ice cream! 3. Climb the lighthouse together. 4. Hunt for seashells then paint them together using watercolor paints or make a simple seashell wind-chime together or save them in a decorative bowl that you find together at local shops like Lee Robinson. 5. Go for a bicycle ride through old Kinnakeet. If mom can’t be with you on vacation, bring the beach to her! Find a pretty jar from one of the local shops and fill it with sand and sea shells you find on the beach! The possibilities to create cherished memories with mom are endless on Hatteras Island. From everyone here at Surf or Sound Realty, we wish you a very Happy Mother’s Day! 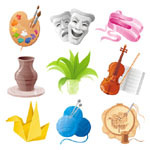 Explore the latest unique creations from the local artists by visiting the Labor Day Arts and Crafts Show hosted by the Indian Town Gallery in Frisco. The show features original art, prints, glass, jewelry, candles, sun catchers, photography, pottery, textiles and gifts. The event is schedules for September 3rd and 4th from 10am to 5pm. Hot food and baked goods will be sold on location as a fundraiser for the Meals on Wheels association. Indian Town Gallery is located at MP 65 in Frisco and is about 4 miles south of the Cape Hatteras Lighthouse. For more information please call 252-995-5181. The holiday begins at 12:01 a.m. on Friday, August 6th and lasts until 11:59 p.m. on Sunday, August 8th.